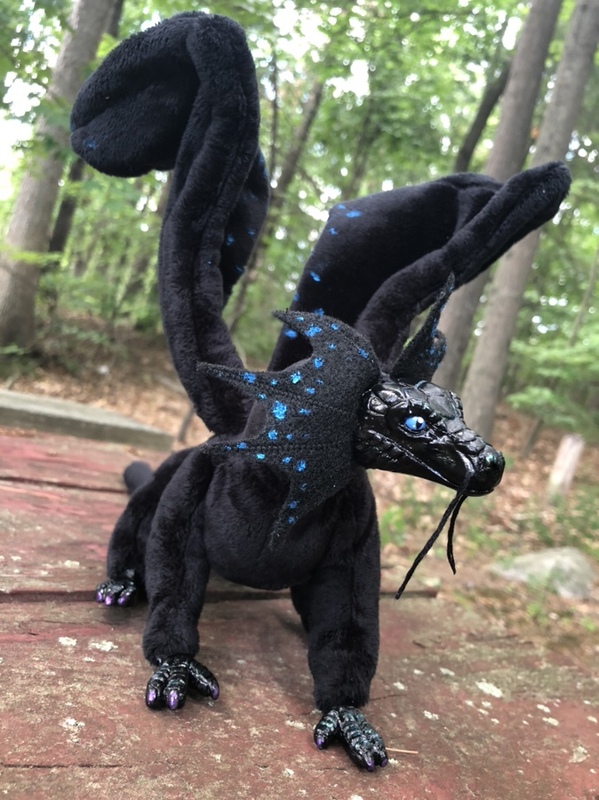 Even though I depleted the majority of my dragons, eastern dragons and pipe foxes at Anime Boston 2018 in April, I haven’t had the opportunity to fully replenish my Etsy shop yet because I’ve been fulfilling a lot of custom commissions that customers requested at the convention and through my shop. And one of the customs that I’m most proud of is this new Western-styled dragon model, inspired by the Temeraire series of novels! While the baby dragons and eastern dragons have been very popular since I started selling them back in 2017, sometimes people have a dragon wish that just can’t be fulfilled via the parts that I’ve already sculpted. 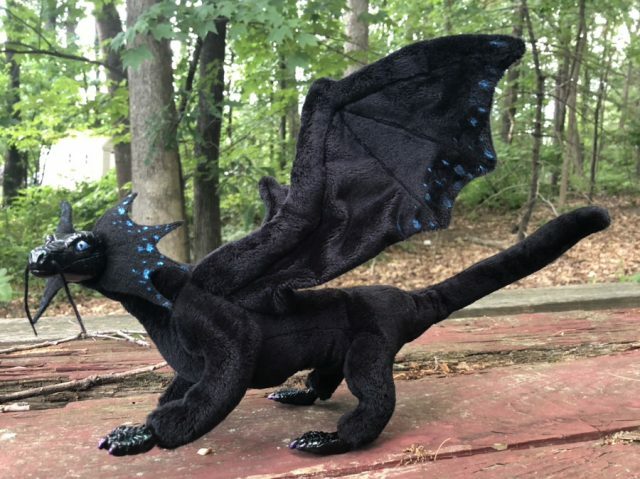 One such wish came in the form of a request I received this spring for a black dragon resembling Temeraire, the primary dragon protagonist in Naomi Novik’s series of novels. 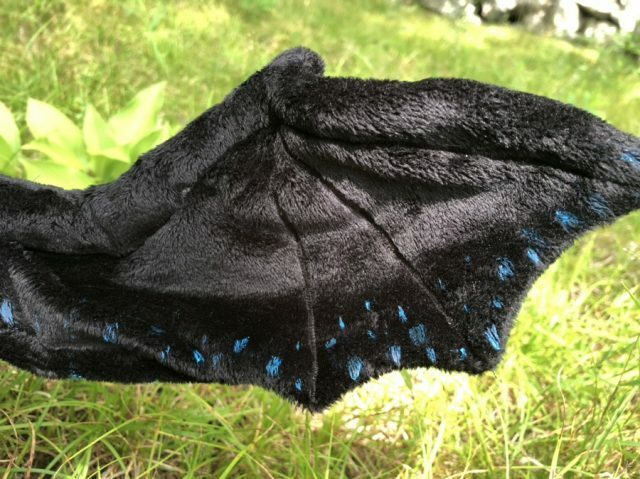 I’ve never made a four-legged winged dragon before, so I had to create a brand new pattern, wings and all. None of my existing dragons had a face that resembled Temeraire at all, either, so this special commission also required a completely new head sculpt. 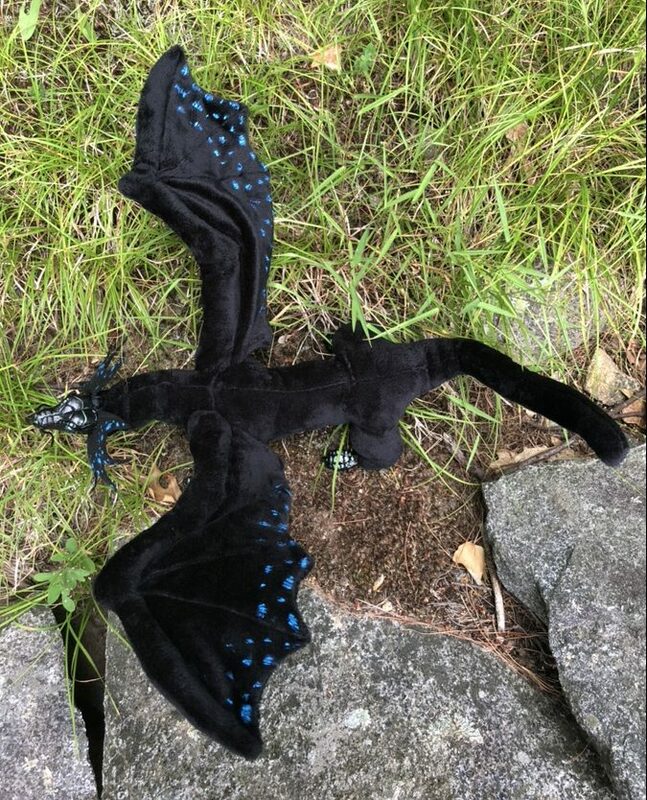 And so, I developed a totally different pattern to use for this new Western-styled dragon, with larger wings (with paint detailing added to the wings!) and a more mature/adult-looking head sculpt. The head is sculpted in such a way that it’s capable of having whiskers attached to it or not, depending on how I want the finished creature to look. In addition, this new portrait features painted eyes, as opposed to the “follow me” eyes that the baby dragons utilize. This facilitates more realism and a wider range of potential eyes. For this one I used a slit pupil at the commissioner’s request. It was a lot of fun getting the reflection spots just right for a more realistic look. There’s nothing worse than dead eyes on an art doll. 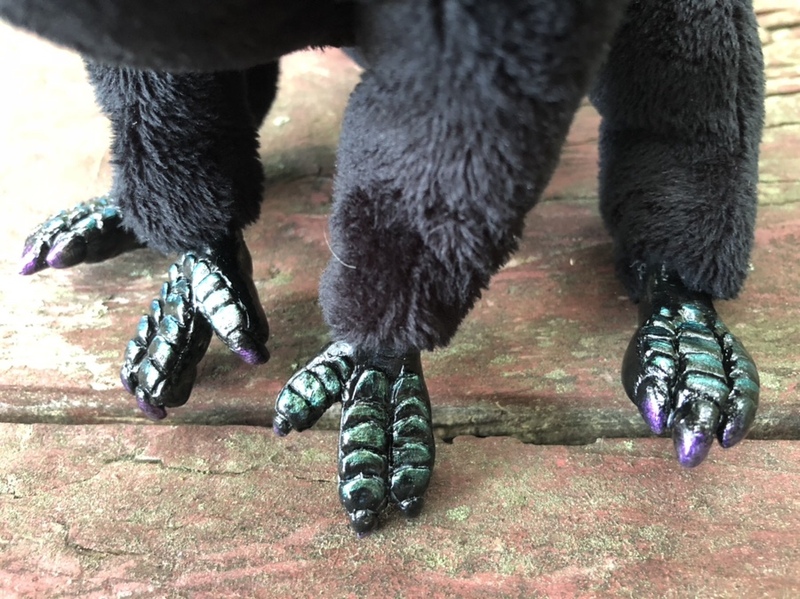 I also utilized iridescent paints on Temeraire’s feet, to make the scales pop and his claws stand out. 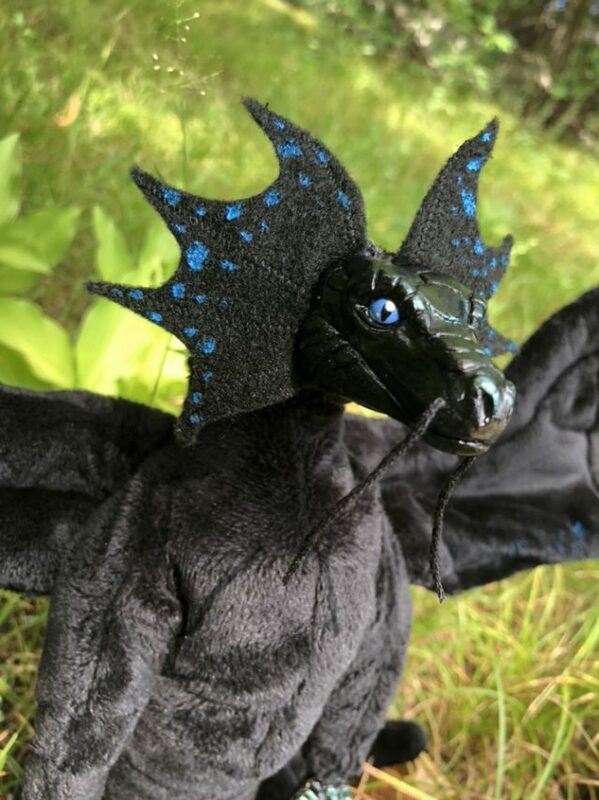 This new adult winged dragon art doll ended up being quite a challenge and taking me several weeks to fully realize, but I’m very pleased with the results and look forward to creating similar posable art dolls in the future using this body pattern and new head!